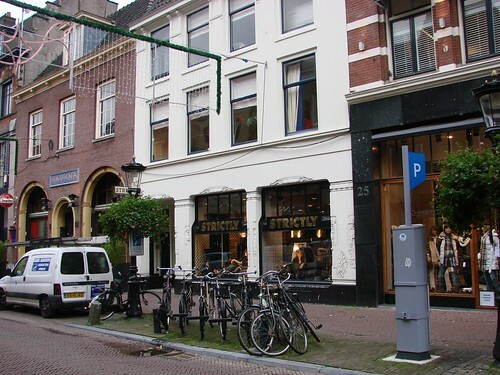 Gerrit Thomas Reitveld was born on this day, 24 June 1888, here in Utrecht. 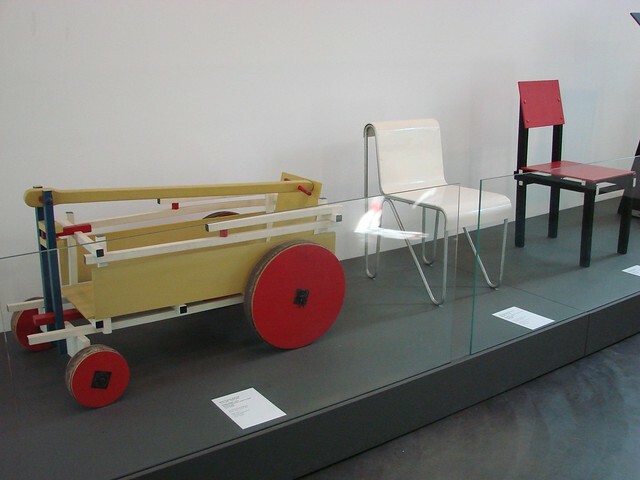 The son of a joiner, he would go on to become a world-famous architect, designer, and principal player in the development of De Stijl artistic movement. In celebration of his birthday, I thought I’d share a few (okay, probably a lot of) photos of his work. 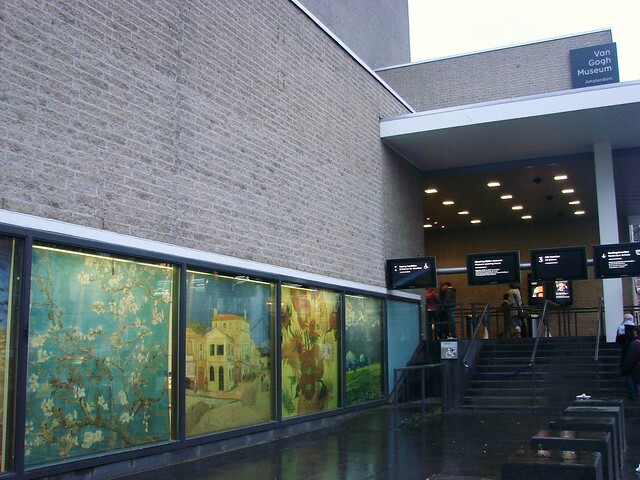 Although you can find numerous works of his on display at the Centraal Museum here in Utrecht, you can see a wide array of his architectural works here in Utrecht and throughout the country, and you’ll often be surprised when you learn it’s a Rietveld. 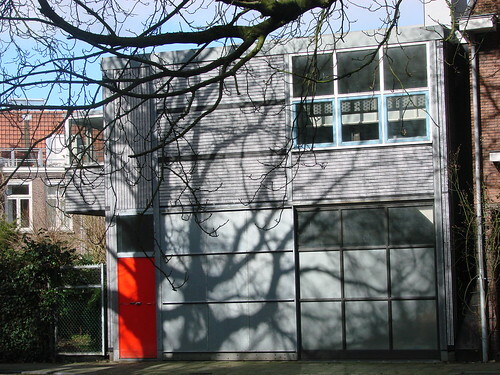 … but this white building is also a Rietveld. 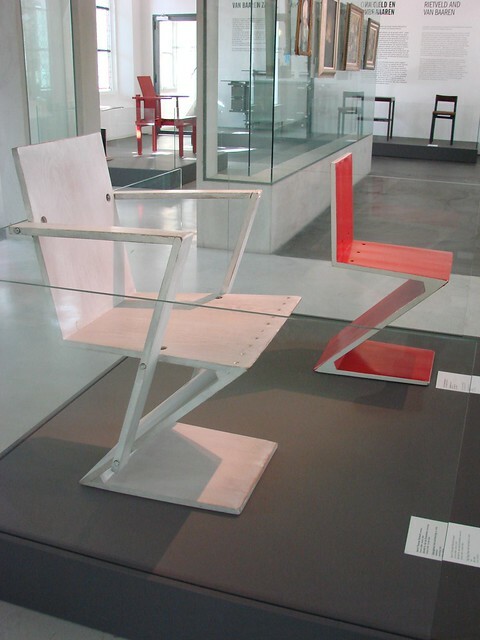 … and this is a Rietveld. He even lived on the upper floor for a while. As always, it’s a joy to celebrate the birthday of this tremendously talented artist and native of Utrecht. 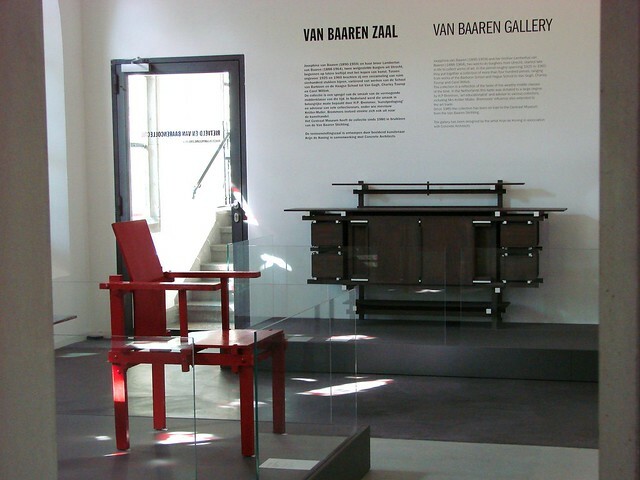 The exhibit is an interesting and informative display of both Rietveld’s design and architectural works, as well as works from his contemporaries, showing his influence or the general influences of the time. 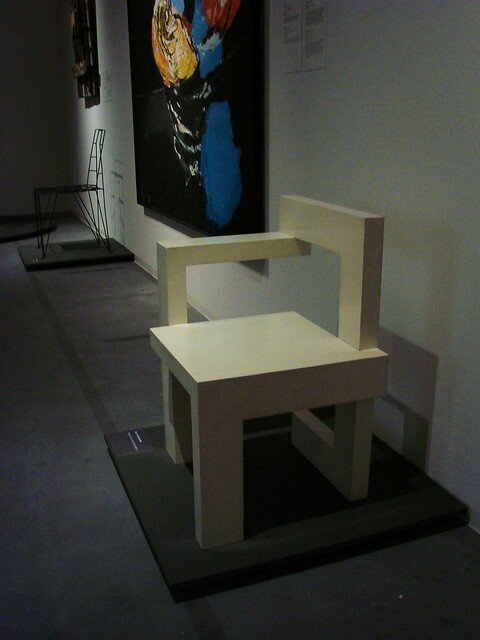 Keeping with the colors of De Stijl (an art movement he was associated with, to one degree or another), the majority of the exhibit is surrounded by light grey walls and Rietveld’s works, specifically, were put against a grey backdrop/platform, while the work of his contemporaries was put against a white backdrop. It’s a simple, yet useful way to exhibit the work of multiple artists, while remaining cohesive and clear. Simple, yet effective! The walls also featured quotes by Rietveld or by his contemporaries about Rietveld, in both Dutch and English. 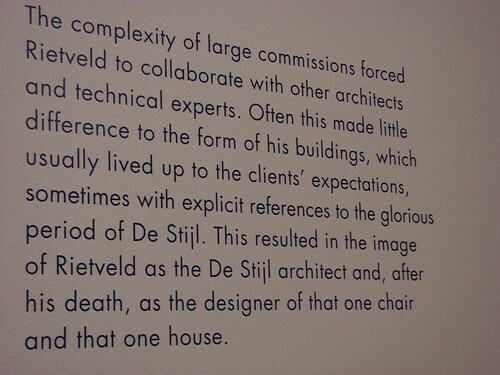 Above is one part of a discussion about the idea of the “Echte Rietveld”, the idea of clients wanting a “real” Rietveld building, even though the reality is that his own style changed somewhat from building to building. 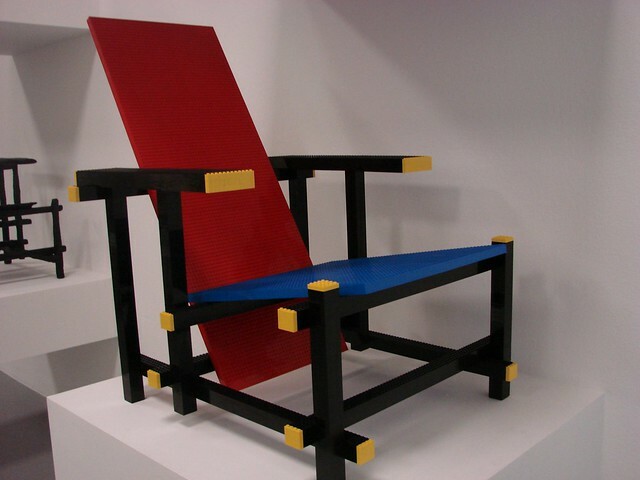 I particularly liked the last line, the way it seems to sum up his career into “that one chair and that one house.” Just on the surface, it may seem like an accurate summation: he’s best known for the red and blue chair (pictured above, in Lego form! 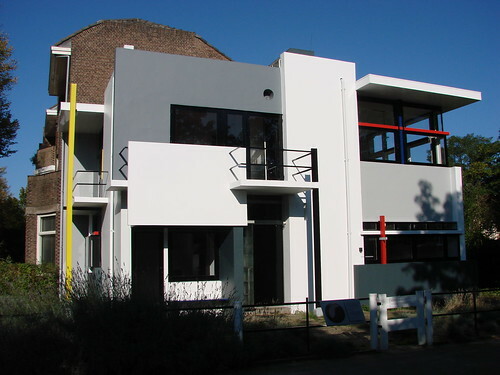 ), and for the Rietveld-Schröder House, which I’ve mentioned before. The reality is that his work was so much more than just those two items. 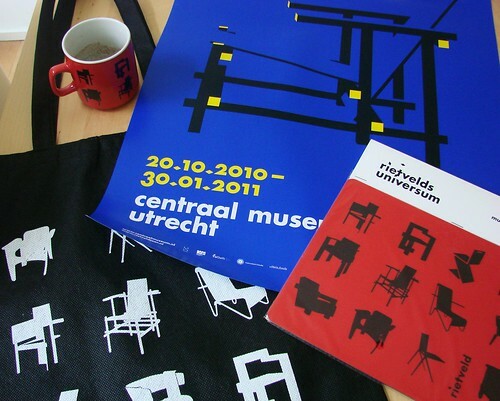 In fact, as I have learned more about both Rietveld and Utrecht, I’ve been amazed to realize how involved and influential a figure he was. 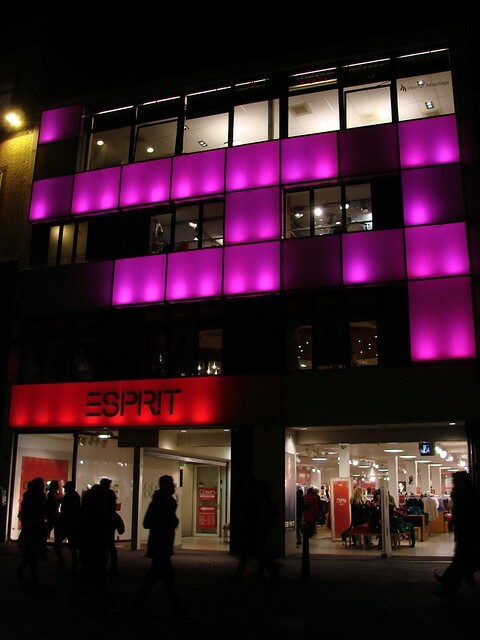 He built numerous buildings or building facades throughout the Netherlands, not just Utrecht. 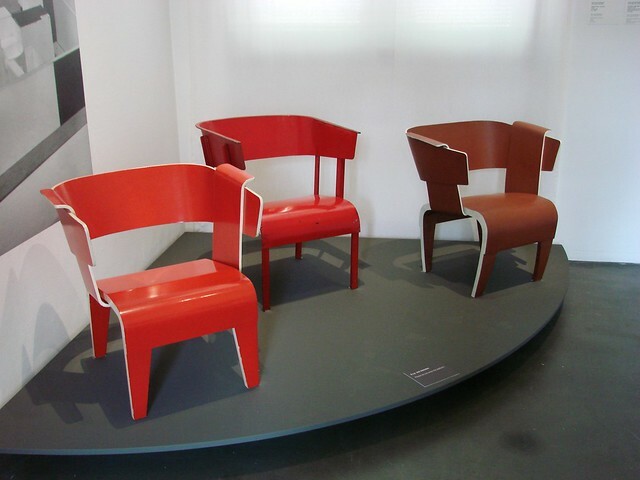 He also designed a variety of fantastic chairs and lamps, and other items of furniture, including one lamp that G and I fell in love with at first sight. 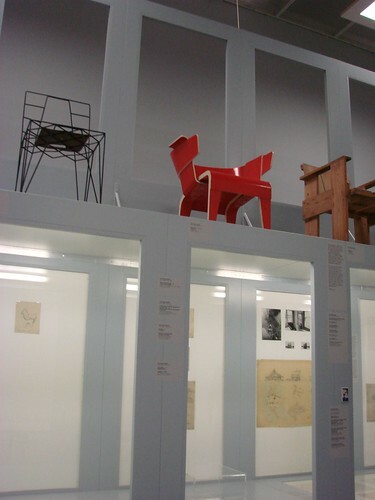 Along with the chairs and building models (that Rietveld himself made), and the architectural plans and work from other designers and architects, the exhibit included general photos on the backs of some of the exhibits, featuring images of cultural and political highlights of the time period associated with the work Rietveld was doing. 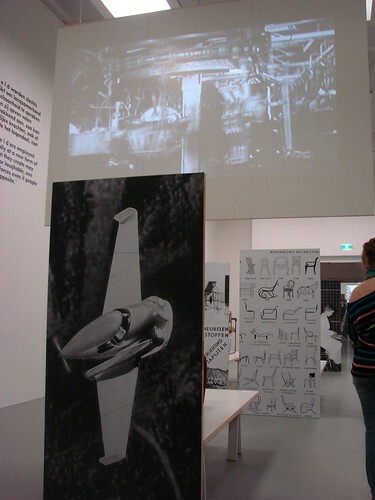 There were also short film loops shown, including factory work, shopping at the V&D, and other time-capsule type films. 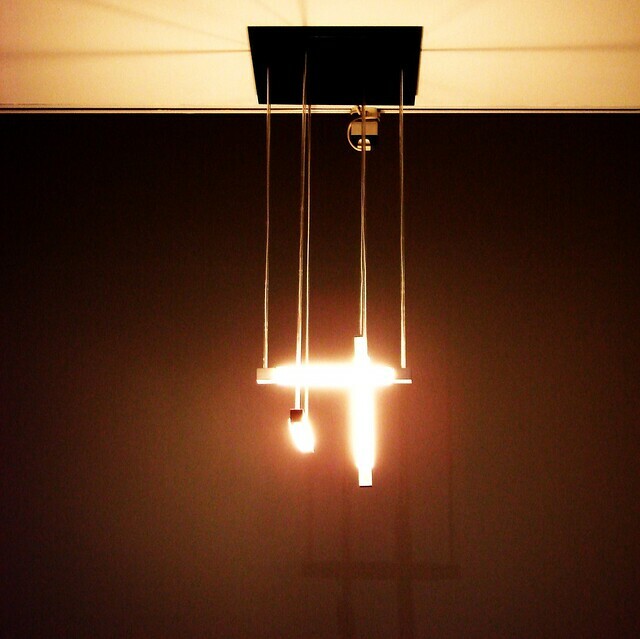 They were fascinating to watch and really did help further the ideas being described through Rietveld’s work. Another element to the exhibit was the inclusion of little audio pods you could take with you and turn on by holding them next to designated spots throughout the exhibit. 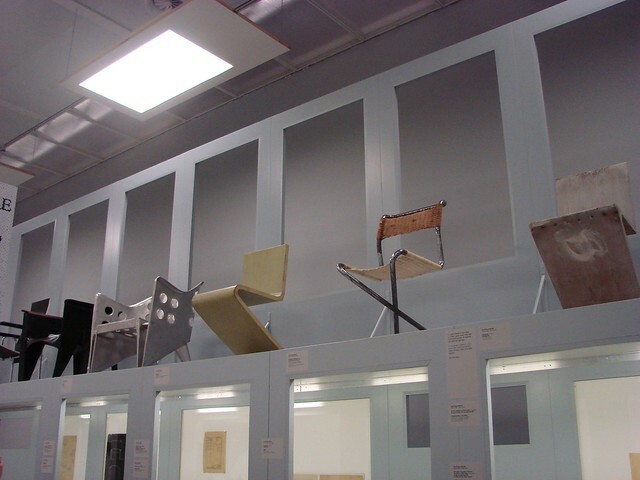 You would then hear actual recordings of Rietveld (or a translation if you got the English-language pod) describing some of the ideas and background of certain pieces. Often, they were a bit humorous at times. It was a nice way to add another interactive and informative element to the exhibit, without being tedious and tying you down for any one spot or order. I really enjoyed the exhibit, and while I didn’t learn a lot of new things — because I’ve done a lot of reading about Rietveld and the other artists — I appreciated getting to see his work in comparison with others and in conjunction with the time periods themselves. Getting an idea of how other artists viewed him was also fascinating. In other words, it’s an excellent exhibit, whether you know a little or a lot about the man. The exhibit will be travelling on to Rome in April. 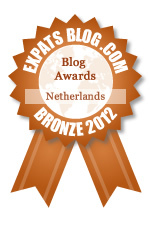 If you can’t see it here in Utrecht, then go see it in Rome! It’s definitely worth seeing and experiencing. As for my prize pack, the woman at the ticket counter wasn’t sure what was in it when we first arrived and I gave her the e-mail that said I had won tickets and a prize pack. While we were off looking at the exhibit, she said she would find out and have it waiting for me when we were done. Sure enough, it was waiting for me when we were ready to leave. I got a black tote bag, a mouse pad, a poster, and a coffee mug. I’ve used the mug a lot since then. Funnily enough, a day or two before we went to the exhibit, I ended up getting the exhibit poster that was hanging in the bathroom at the Potdeksel. I had been coveting it, and since the exhibit was ending (or at least the dates on the poster didn’t show the extension), I was able to get the poster that night. Who knew I’d end up getting another copy in my prize pack! If I can find a mailing tube, I may yet give away the extra poster here on my blog.